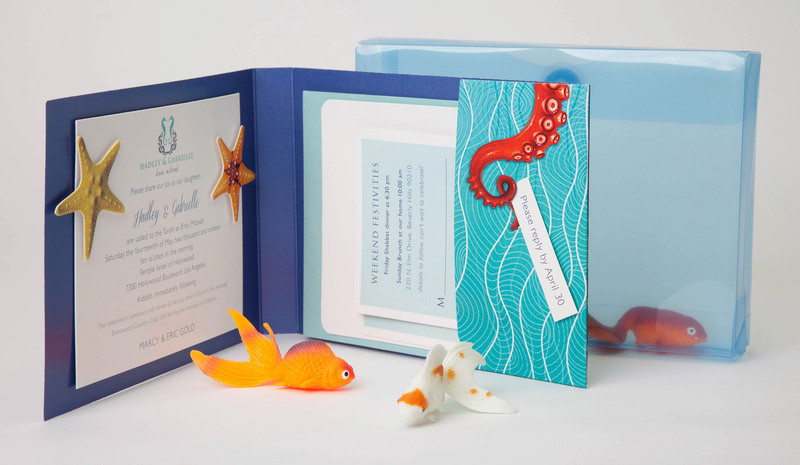 We took the plunge and created a B’nai mitzvah invitation for spirited twin sisters. 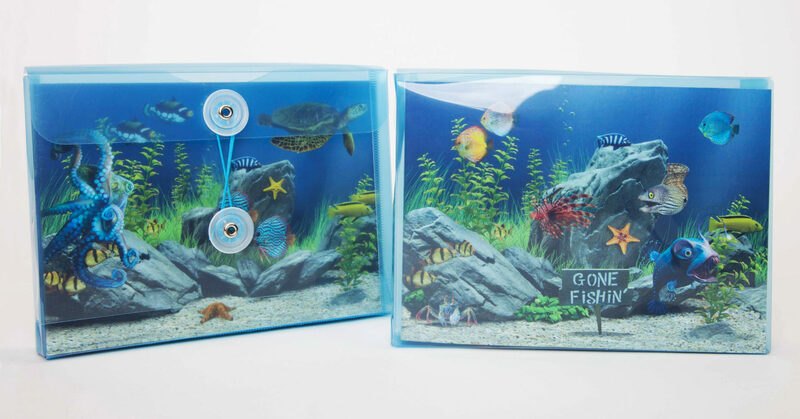 Mailed in a blue transparent button-and-string mailer, the design invites guest to come explore, with quirky creatures and sea life showing through. 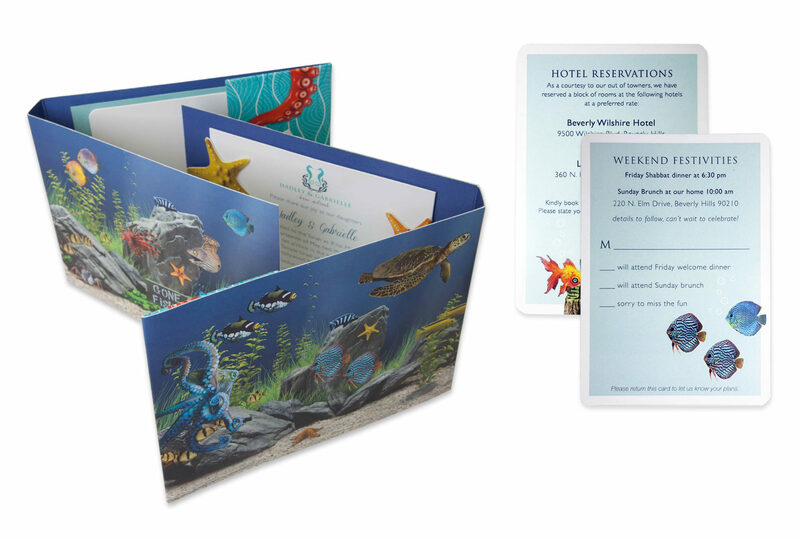 The folder opens to reveal an invitation panel held in place by tipped-on starfish. An octopus gets a grip on an attached message as part of a graphic pocket holding event cards and envelopes. 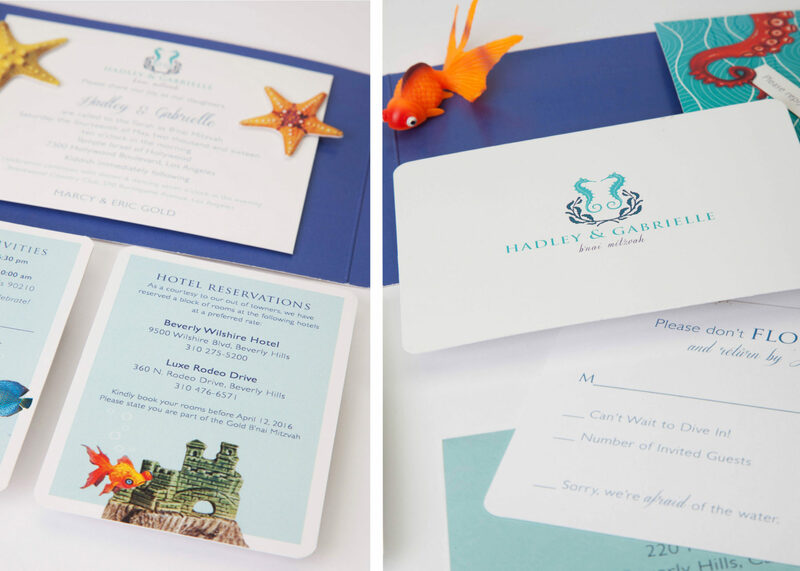 A goldfish keepsake tucked inside each invitation promises a fin-tastic event.